Today's photos are a flashback to our feline family vacation we took last year to the North Shore of Lake Superior in northern Minnesota. Waffles and Katie were right at home in our rented townhouse by the lake. Lots of napping, sunpuddle bathing and of course... singing. 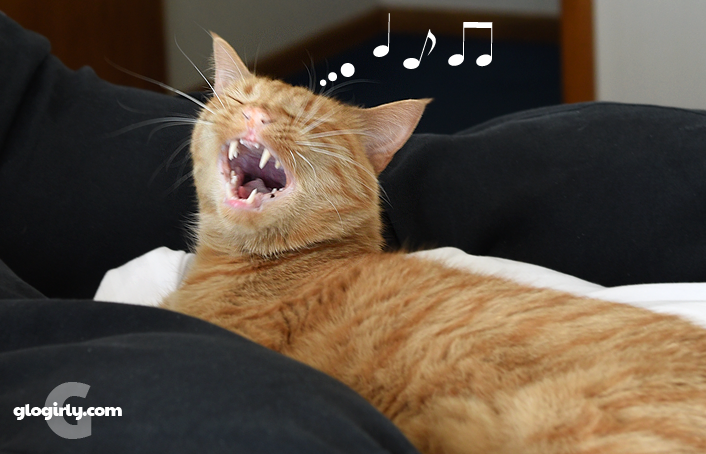 That last photo of Waffles singing always cracks Glogirly up. With his upper lip pushed just a little bit up on top and his eyes scrunched closed, he reminds her of what a singer would look like at the most climatic part of their song. Or what Gloman looks like when he's playing the air guitar. 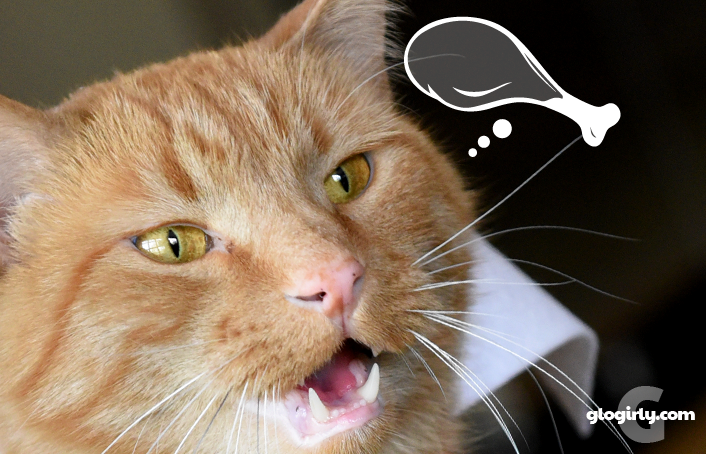 We've very excited to announce Glogirly's second photography article has just published on the Live the Pet Life website! Her first article was so well received they invited her back to write another. 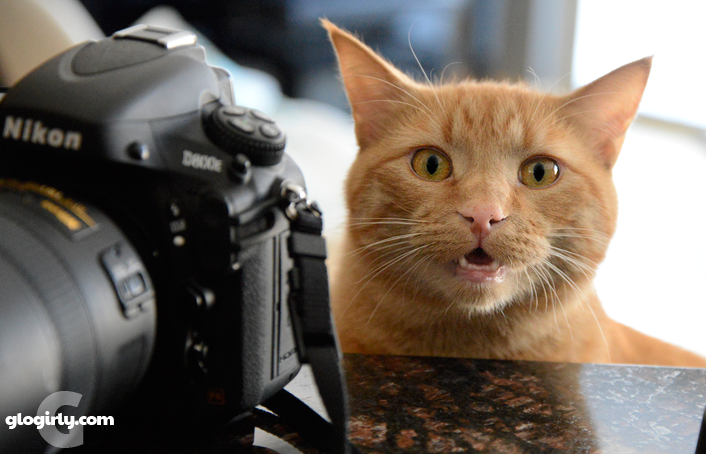 The latest focuses on tips for capturing your pet's personality in photos and videos. 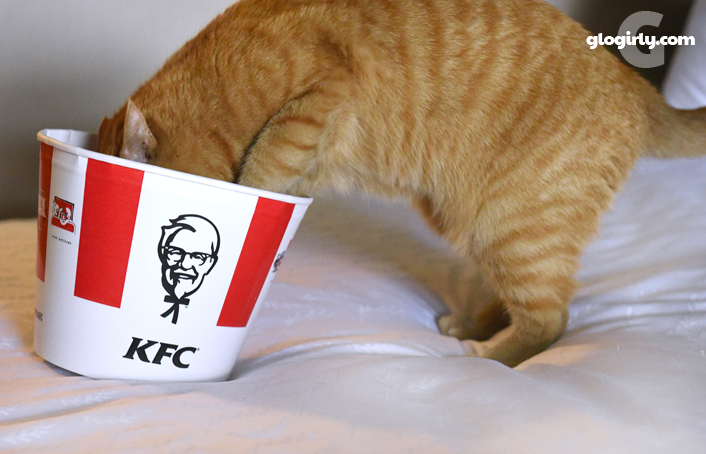 Now my human is hungry for KFC - maybe she will get some and share! Congratulations on the second article! Wouldn't it be easier if you just came here and took pictures of my cats instead of me having to learn all of that? Extra crispy...... Yum!!!! Can't wait to read your article, Glogirly. You're the only one we know that would sing to a chicken leg, Waffles. You still singing pal? Looks like you are in good voice again today. Do you give singing lessons? I was singing right along with you, Waffles!!! What a great song. So .... are you really the one taking the photos and not GloGirly? Were there any crumbs left in that bucket Waff?? 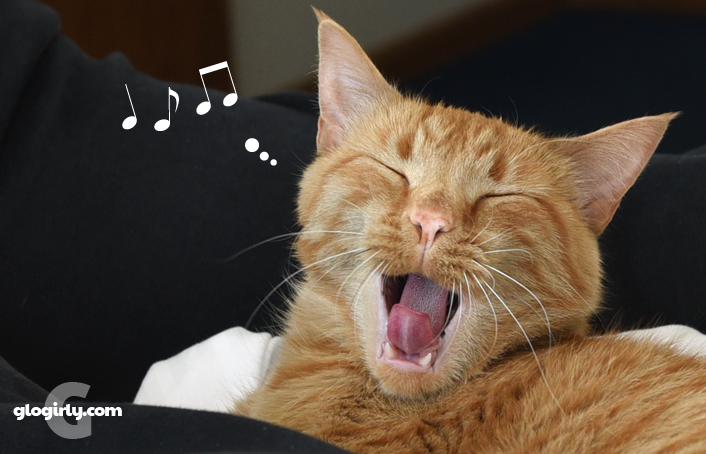 You sing so well, Waffles. Bring on more silly songs! I love your closeup, Waff. I wish TW could take pics like that. Such great tips! Concatulations to Glogirly on that second article! Sing it loud, sing it proud, Waff! I could hear you all the way from here, Waffles. Great post(s) and Pics.